In this video, Kami explains how to make a spicy herbal chai honey. You can then add some of the chai honey to some boiling water for a delicious cup of chai tea. I personally like to make my chai tea with hot milk, which would also be an option. I love the spicy smell and taste of herbal chai tea and the relaxing effect it has on me. The chai honey serves as a concentrate which you can store for quite some time and use whenever you’d like. Kami discusses the health benefits of chai tea and also explains the benefits of each of the spices. Very nice video. 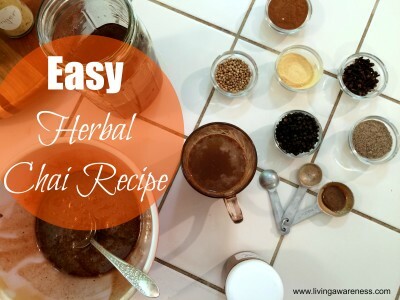 Click on the Easiest Herbal Chai Tea Recipe [Video] link below to see Kami’s recipe.